You’re having a baby … or having surgery … or need time off from work to care for your ailing parent. However, your employer seems to be putting roadblocks in the way of your right to take a leave from your job for family or medical reasons. Aren’t there laws that protect against that? 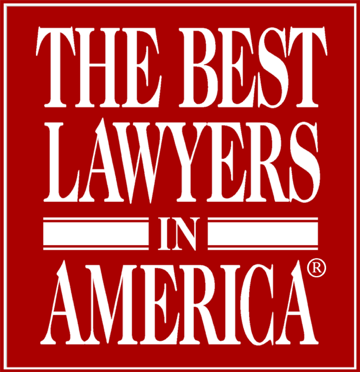 Contact Alan C. Olson & Associates, s.c., through this Web site or by phone to schedule a free initial consultation. Let our experienced Wisconsin job discrimination attorneys explain how we can help. When a family or medical need requires you to take time off from work in Wisconsin, what procedures must you follow? If your employer appears to be trying to dissuade you from taking medical or maternity leave as protected by law, what recourse do you have? The lawyers of Alan C. Olson & Associates, s.c., in the Milwaukee area, help employees answer these questions. We can help you assert your rights to take leave when you have a baby, need to care for an elderly parent, or need time off for medical reasons. The W-FMLA, unlike the federal FMLA, does not require the employees to perform their work on the employer’s site or within any specified number of miles from its location. During a 12-month period, the W-FMLA provides an employee with six weeks of leave for a birth or adoption; two weeks for serious health condition of parent, step-parent, child or spouse; or two weeks for employee’s serious health condition. The W-FMLA limits an employee to no more than eight weeks of leave per year for any combination of covered reasons. Job reinstatement rights are protected as under the federal law. Complaining employees who bring claims under the Wisconsin Family and Medical Leave Act must file their claims within 30 days of the employer’s violation. An investigation and hearing shall be conducted within 60 days from the filing of the complaint. If you have been denied leave or subjected to discriminatory conduct after a request for maternity leave, please contact us at the law offices of Alan C. Olson & Associates, s.c., to discuss your important legal rights. Insist on your right to take leave from work after the birth of a new baby, or to care for a seriously ill family member. If your Wisconsin employer is putting unfair obstacles in the way of lawful application of the Family and Medical Leave Act, contact federal FMLA attorney Alan C. Olson in the Milwaukee, Wisconsin, area to schedule a free initial phone consultation. The Family and Medical Leave Act (FMLA) of 1993 applies to employers who have 50 or more employees, who can be employed at more than one job site, as long as the sites are within 75 miles of each other. The law provides eligible employees with up to 12 weeks of unpaid leave for: (1) the birth, adoption or foster care of a child; (2) care for an employee’s son, daughter, spouse or parent who has a “serious health condition;” or (3) the employee’s own health condition, as defined by the act. The federal FMLA applies to employees who have been employed by their current employer for at least 52 weeks and have worked at least 1,250 hours in the 52 weeks preceding the leave. Both the federal FMLA and Wisconsin law require continuation of the same health insurance that was provided to the employee before the leave. Job reinstatement rights are also protected. Know your rights and demand justice. Retaining an employment discrimination attorney to advocate for you may be what it takes to enforce your rights to take leave from work, return to your same job, and be free from retaliation. Contact the FMLA law firm of Alan C. Olson & Associates, s.c., to schedule a free case evaluation by phone.